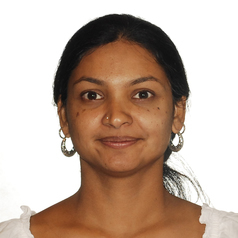 Aparna is an ecologist and public health researcher. Her research focuses on the environmental and social risk factors for a range of infectious diseases. My current research projects focus on (1) developing spatial models to examine infectious disease patterns at a high resolution (2) examining how environmental change, including rainfall extremes and land use change, are associated with patterns of human illness.